One of the main causes of dandruff is dryness. Yes, not only your hair is important but your scalp too. Dry scalp means a vulnerable environment for dandruff. To remove dandruff in winters, keep your scalp moist. You can do so by applying oil very gently on to your scalp every night before going to bed. The logic behind oil application at night means it will take time to absorb very well. When you will wake up in morning then you can rinse your hair with any good anti dandruff shampoo. Here we will recommend you two wash of shampoo. The first one will take out the oil out of your hair and the second wash will take away all the impurities from scalp and hair and as a result you will have dandruff free hair. You can try this method out three or four times in a week. If you want quicker results then before each bath in winter you can apply oil on to your scalp and if not night long you can also keep it for 3 hours minimum and then wash it away. Almond oil, Coconut oil and hair treatment creams can be applied for this purpose. Another cause of dandruff is fungus of scalp. Yeah this dangerous fungus can increase the scalp itchiness and makes your hair look dry and unhealthy. Now the question is how to deal with that fungus? Well you can consult a dermatologist for knowing the solution, but as a home remedy you can use vinegar as killer for the fungus. Just shampoo your hair very well and rinse it off then pour few drops of vinegar on your scalp. Remember that the vinegar should not come in contact with your eyes. The effect at that time will be burning but bear this little loss for having good hair. The vinegar application will eliminate that fungus of dandruff caused in winters and hence you will have good dandruff free hair in winters. Be frequent in applying that solution. Note that the smell of vinegar will vanish as soon as you rinse your hair with plain water. As described we hope you got the idea of main cause of dandruff which is dryness of scalp and some fungus attack. Here is another way of eliminating the monster of dandruff which is zinc, Yeah an element in a periodic table and an agent which is the main ingredient in anti dandruff products. 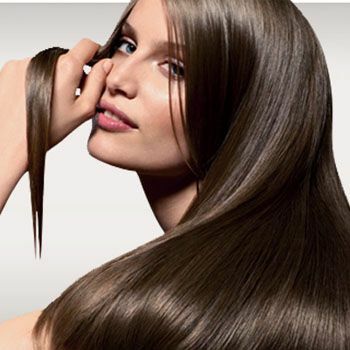 For removing dandruff in winters use the shampoos having zinc as main ingredient. We bet this will remove the dandruff and give you shinny, moist and silky ones. Home remedies are no behind in solving your problem of dandruff. You can use the lemon juice also for having the extra shine and no dandruff in your hair. Its application is as same as that of vinegar. Dandruff has no right to be in your hair. Kick it out by applying above tips of avoiding dandruff in winters. Isabel Marant for H&M LookBook and Entire Collection!